It is dark underground; and it is as quiet as the land of the dead. All sort horrible smell seems to tower when I dig up the soil. The earthworms, and ants, and leeches come out of nowhere. I can’t even imagine how other living animals find it comfortable underground. 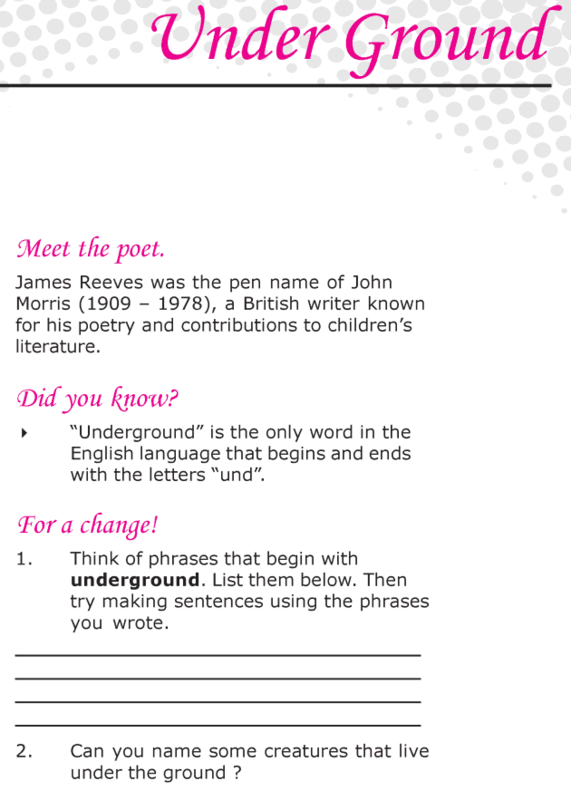 To the poet James Reeves, the place underground is pleasant and secure. Let us read more about what he thinks of the place.